Ever since we adopted North America as our new home, swimming in the beach has lost its appeal…yup, even in the summer. For one, the water is frigid at 56F (13C); and the signs plastered around the beachfront that say, “Never turn your back on the ocean” is alarming. I have heard of horror stories in the evening news about runners being pulled by strong rip currents as they jog by the water. Frightening. We live less than 5 miles from the coast, and yet an afternoon in the beach is not on our weekend list. Now beaches in the Philippines are different. 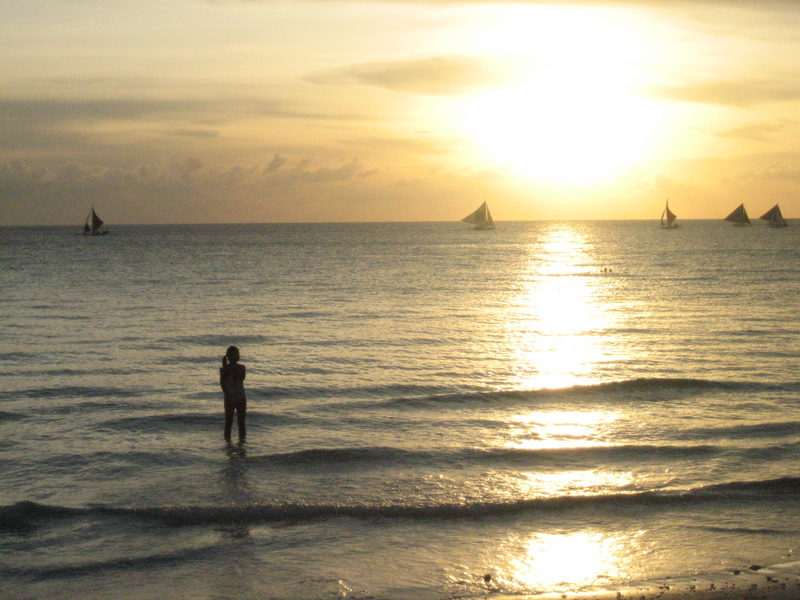 I will never pass an opportunity to go to the beach when we are in the Philippines. 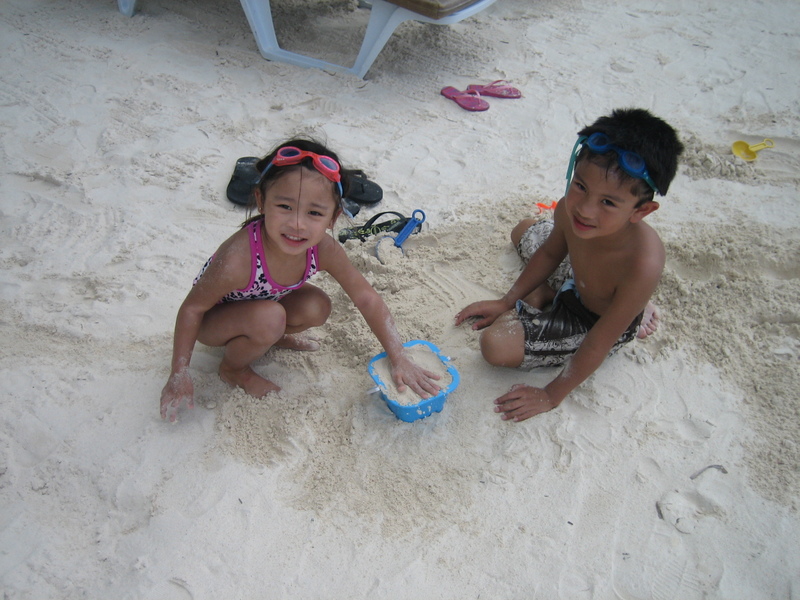 In fact, my children equate a trip to Manila to a vacation in the beach. Thanks to my brother and sister-in-law, on our last trip back, we were able to enjoy an extended vacation at Residencia Boracay in Boracay. This beach destination is just perfect for young children. With fine white sand, calm waters, and great weather, what more could you ask for? We were in the water from sun up to sun down, and going indoors only for meals. Sand toys and marbles were the perfect toys for my young kids who were 4 and 6 at that time. We enjoyed mangoes (green and yellow), taho (sweet tofu), halo-halo (shaved ice with fruits and milk), grilled seafood, fruit shakes, massage on the beachfront, even getting mani-pedi complete with foot massage. We went snorkeling too. 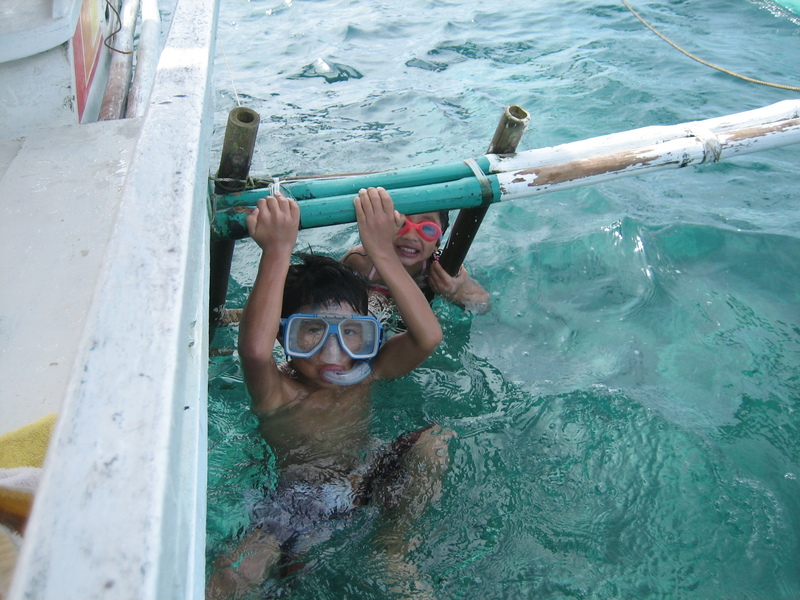 The kids had no problem jumping in the middle of the ocean to look for Nemo. The kids are too young to go scuba diving, but we can’t wait for them to do their intro dive. Hopefully, I would still be nimble enough to dive with them by the time they get certified. 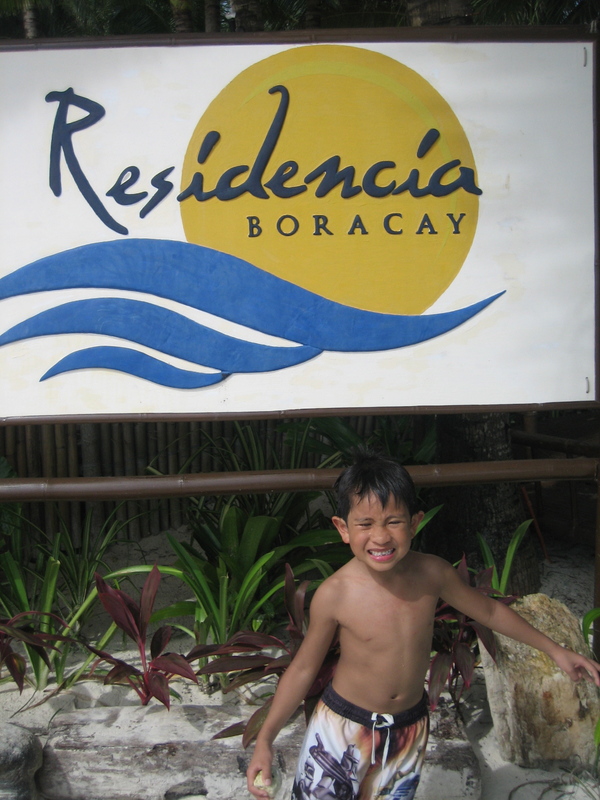 Posted in A Mother's Narrative and tagged beach, beaches in the philippines, boracay, family, Filipino, philippine beach, residencia boracay, travel, vacation, white sand. Bookmark the permalink. For our Christmas 2010 trip to Manila, I made a list of things to do and buy. Included in the short list of things to buy was sungka. I have always been curious about the game and I thought it would be a wonderful addition to our board games of Monopoly, Tip-Top Tally Card, Battleship, and Uno. After a late lunch with some of my college friends, I decided to brave the packed Greenhills tiangge with my good friend, Chelle to look for my very own sungka set. We found a lizard design wooden acacia board for P450 (around US$12) that came with a pack of sigay (cowry shells). For someone who has never played it, I was really determined to purchase one. I paid for it after making sure that the board would fit in my luggage. As soon as we unpacked from our Manila trip, my daughter and I checked online how to play sungka. My daughter was very curious why I had to check the computer for instructions when it was a “Filipino game”. The only explanation I could offer was that no one taught me how to play it. My eldest sister who claims to be good at sungka says she learned it from an aunt who lived in Lipa. 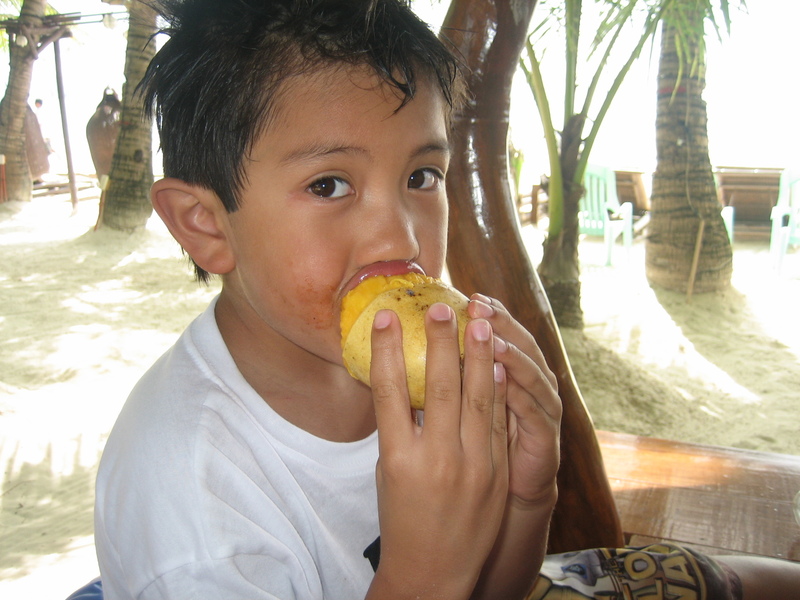 I grew up in Manila and only went to Lipa on weekends and summer breaks. 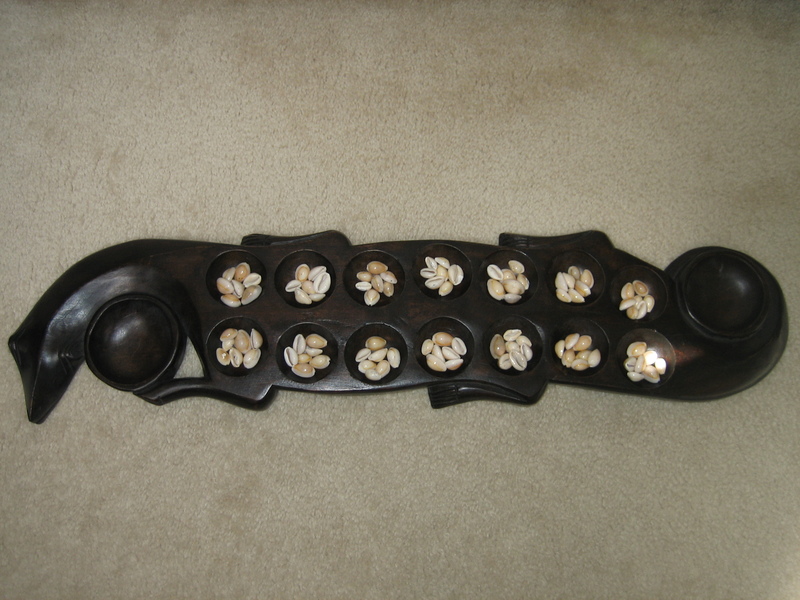 Unfortunately, learning how to play sungka never came up on any of my sorties. I am glad that the novelty of playing with our sungka in our home has not yet worn off. I have seen how the game has helped develop my daughter’s fine motor skills, not to mention her mathematical skills. 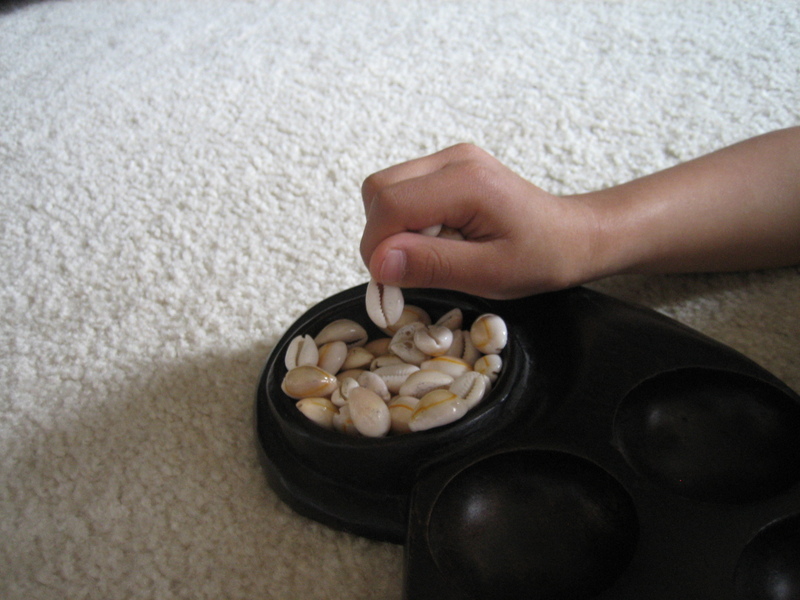 When she was still learning to play it at 3, she would hold a handful of cowry shells and would very carefully drop one shell at a time in the holes. With the other three fingers clenched to stop the other shells from falling, her thumb and pointer finger would pinch and then drop each shell. This allowed her to develop the required skill to hold a pencil well for writing. Now that she is a bit older, she is now developing her own strategy of putting away as many shells as she possibly can, for as long as she can, in her bahay and ulo. Who knew that sungka could reinforce math skills just as effectively as the math apps for tablet computers? Next up, luksong tinik, luksong baka, and jackstone. Now these games, I am good at! Posted in A Mother's Narrative and tagged cowry shells, greenhills tiangge, travel, vacation. Bookmark the permalink.